As DCVC’s General Counsel, Scott is responsible for all legal matters and provides guidance on DCVC’s investments, portfolio company exits, fund operations and regulatory compliance. Prior to joining DCVC, Scott was Associate General Counsel at Accel where his responsibilities encompassed a range of global legal, finance and operations matters. Scott began his legal career at Gunderson Dettmer where he counseled startups, emerging growth companies and leading venture capital funds on corporate and securities law issues. 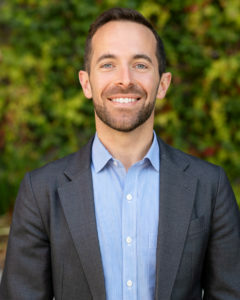 Scott regularly teaches classes and seminars on venture capital and startup law and is currently an Executive Fellow at the Berkeley Center for Law and Business. Scott received his B.S. in Managerial Economics from UC Davis and J.D. from UC Hastings, and is admitted to practice in California.